Get college ready: a cheaper textbook buying alternative! This post is sponsored by CampusBookRentals.com. All thoughts and opinions are my own! I can't believe that I will be heading back to both Charlotte and my college in just three weeks! 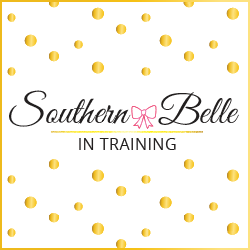 This is the first year that I will not be new to a school- during my freshman year obviously I was a new student, and last year I transfered colleges so I had to go through new student orientation again. It is a wonderful (and slightly weird) feeling to finally be a junior in college and feel like I know what to expect! But with the countdown to school coming quicker every day, this also means that soon my bank account will take a significant drop thanks to a college student's least favorite thing: textbooks. Textbooks mean the arrival of homework and tests, and are also just so gosh darn expensive! Buying them through the college bookstore is the absolute most costly and worst on your budget, so I try to find my books elsewhere, but as everyone knows, sometimes the internet can be a bit overwhelming and hard to navigate. There are tons and tons of college book rental or discount book sites, but not all of them are legitimate or have the greatest selection. By renting a book through CampusBookRentals.com instead of buying it through your campus bookstore, you can save between 40-90% off depending on the textbook! And the best part is you don't have to worry about selling it back at the end of the semester and not making your money's worth since it is just a rental... it will be off your hands as soon as your rental period is done! 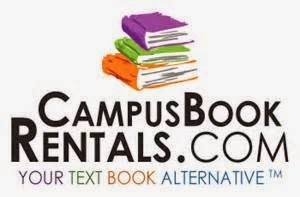 Speaking of rental periods- CampusBookRentals.com is very flexible with this as compared to other book renting sites! For all books they have several options as to when you can return the book, and the rental period is priced according to how long you will have it for. You are allowed to highlight as much or as little as you want in your rental textbooks without any additional charges!! There is free shipping both when you purchase the textbooks and when you return them- CampusBookRentals.com covers that shipping as well! And possibly my favorite part about choosing to rent with CampusBookRentals.com is that they make a donation to charitable organization Operation Smile with every textbook purchase! Operation Smile is a charity that provides cleft and lip surgeries to needy children in low income countries. Children born with cleft lip problems can have troulbe with eating, breating, and other normal tasks, not to mention being rejected because of their physical condition. Operation Smile is able to provide children in need with surgeries to fix their cleft problems that they wouldn't normally be able to afford, and every purchase through CampusBookRentals.com helps to fund that noble cause! I would also like to make mention of how CampusBookRentals.com just launched a brand-new book renting program called RentBack, which allows students to rent textbooks that they already own to other students (allowing you to make lots of $$$!). Click here to watch a short video explaining more about the RentBack program! Fellow or former college students: do you choose to rent your textbooks or do you prefer to buy? The only textbooks of mine that I prefer to purchase are my French books (I am a French minor). French is a skill that I would like to probably keep refreshing after I graduate, and my textbooks will be a good way for me to do that! But with the exception of those, renting my books has saved me lots of money and effort, and is what I will continue to do for the books in my major, my other minor (sociology), and my last couple Gen Ed courses! I used to rent but now I like to buy used books to recoup some of the money I spent. I am loving amazon used textbooks and then I sell them back at my college bookstore. I had a book scholarship, so I did part of mine through the school, and rented the rest!